When designing any physical entity, it is paramount to arrive at the most suitable design solution which fulfils weight, size, appearance, cost and performance metrics. At Mechanika we possess the ability to not only advise our customers verbally on the best choice of materials, size and shape of their designs, but we can automate the best structural mechanical solution using our advanced FEA solvers. These solvers are able to adjust chosen parameters automatically and iterate FEA simulations so that an optima design is chosen and analysed. 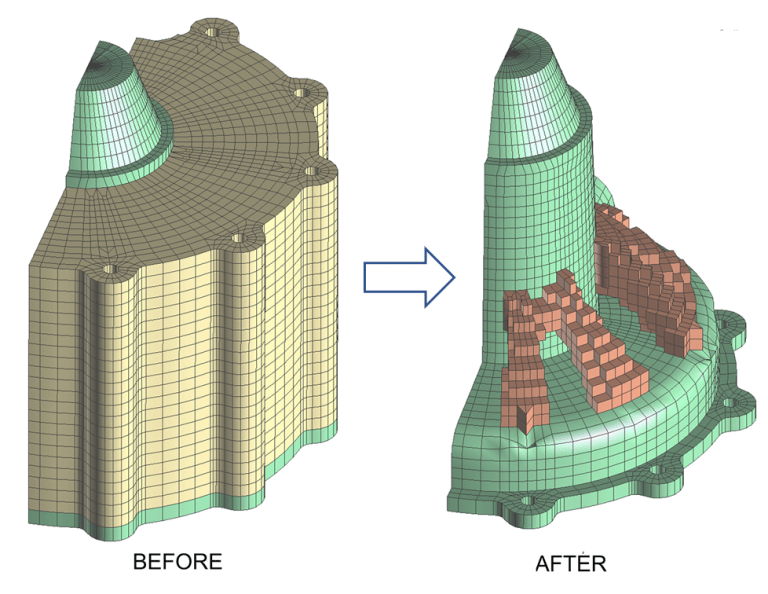 With our range of FEA design optimisation techniques, we are able to help keep our customers at the competitive forefront in this modern day competitive marketplace.